Are you Interested in understanding how mental health, physical health, school readiness, and job success are inextricably linked? Curious about how training your brain can impact your quality of life? 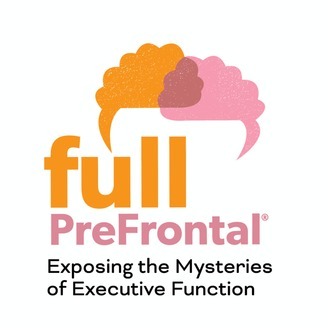 Want to know more about how to improve your focus, organization, working memory, decision-making, or self-control? 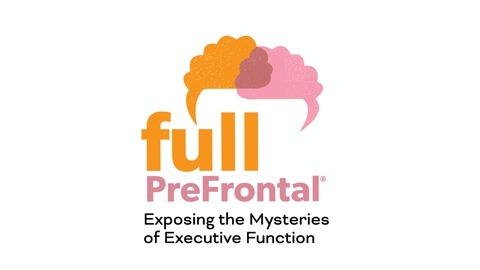 Welcome to my podcast, Full PreFrontal: Exposing the the Mysteries of Executive Funcrion! You are tuning into my conversations with researchers, neuroscientist, learning experts and thought leaders. Some have expertise in cognitive/educational/social psychology, social anthropology, learning and education, psychiatry, neurology, behavior economics, special education, while others are noted professionals in the field of leadership development and motivational speaking. The Podcast is my effort to address the challenge and complexities of organizing one’s life. Life’s success is an intricate balance of orchestrating talent and effort. However, failing to uncover or to mobilize your inner tools and strategies can get you off the path. Self-doubt presents itself and you begin to question your own capacity. How do I learn more about me? How do I objectively investigate myself? or How do I tweak my thoughts, habits and attitudes to enhance my future thinking? What missing pieces of the puzzle, when properly placed, will connect the life successes I see in others to help me succeed in my own journey? We are not just in charge of our own life but are responsible for lives of many. Guiding others in hopes to see change in them is how we mentor others but what should we do when that doesn’t work? Is there a secrete sauce to help others strive for excellence? Life has many moving parts; some create utter chaos while other bring sheer joy. To keep up with the moving parts make listening to my Podcast a new habit! Life won't be a puzzle anymore!